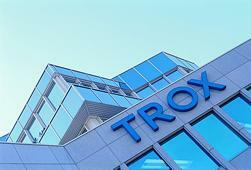 The control system is the heart of the energy-efficient TROX decentralised façade ventilation units. It controls supply air and extract air based on demand and also the water-side heating and cooling circuits. This results in a very high efficiency at ideal comfort levels. INSTALLATION, COMMISSIONING, AFTER SALES SERVICE? We are happy to help. INSTALLATION, COMMISSIONING, AFTER SALES SERVICE?